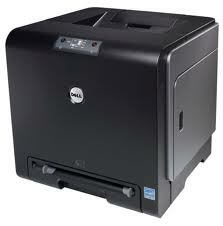 210-26267 Dell 1320cn Printer - Refurbished with 3 months Return To Base Warranty & Working Consumables. 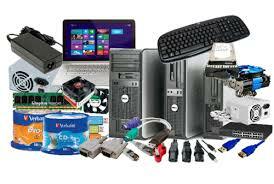 The Dell 1320cn Printer is as good as buying new as all worn parts are replaced. This saves you up to 50% off the price of a brand new printer. We are confident that you will be 100% satisfied with your Dell 1320cn Printer and are here to help with any support questions you may have. The Manufacturers part number/product code for this item is: 210-26267. - Value: Up to 12 colour pages per minute print speed, up to16 pages per minute in monochrome with a low printing cost per page (actual print speeds will vary with use). Why spend time and money going to a print shop when you can produce your own professional quality colour printouts from your home or office? - Crisp, vibrant colour prints at up to 12 pages per minute (actual print speeds will vary with use). When sharing the 1320cn with PCs on your network, Dell provides you with Colour Track 2 network printer management software to help manage your colour printing costs. Colour Track 2 gives you the ability to create up to 50 user or department accounts and monitor print jobs per account. Enable, disable or set limits for colour and black & white printing - Colour Track 2 lets you control everything remotely using the Dell Printer Web Configuration Tool. The DellTM Toner Management System makes monitoring and reordering toner easy. The Dell Colour Laser Printer 1320cn is compact, making it the perfect printer to fit small spaces like desktops, so it's always close at hand. The stylish and professional ergonomic design also looks great in the office or home. The 1320cn gives you the ability to share your printer between multiple users on your Network. Each 1320cn comes backed with a full year of all of the benefits of Dell's technical phone support and Advanced Exchange Service. For added peace-of-mind, you can also extend your service to protect your investment for up to five years. Best of all, fuser replacement is covered while your printer is under service - so you can rest easy.